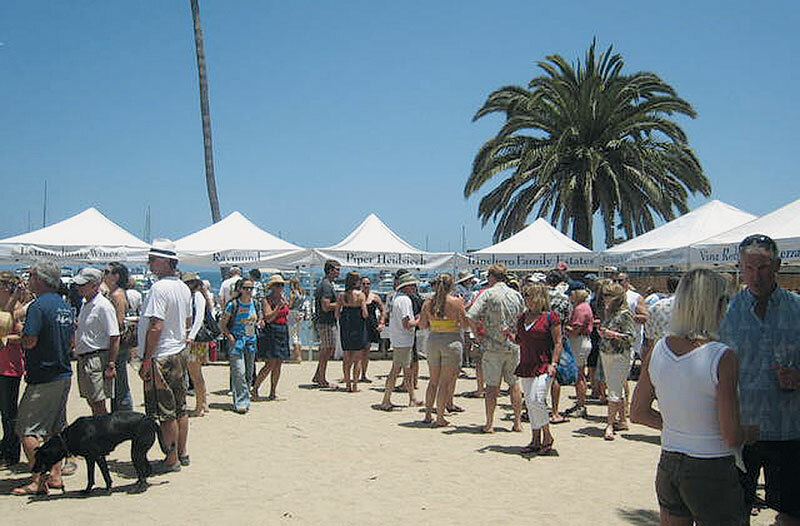 TWO HARBORS — Some of California’s finest wines — from more than 30 wineries — will be ready for tasting on the beach at the 11th annual Two Harbors Summer Wine Festival, June 9. The festival is hosted by the Avalon Rotary Club and Two Harbors Enterprises. The festival, a fundraiser for Catalina Island students, is extremely popular, explained Leslie Luchau-Boutillier of Two Harbors Events and Catering. “The event has sold out for the last several years,” she said. In past years, vintners participating in the festival have included Don Sebastiani and Sons, Gerald Bertrand Wines, Jaqk Cellars, Rusack Vineyards and wine brands Mezzacorona, Arancio, Tolly, Querceto and Rotari. Along with the wine tastings, festival-goers can enjoy live entertainment, appetizers and a silent auction for a variety of items — including hotel packages in Two Harbors and Avalon, gift baskets, bottles of wine and framed photos. All proceeds from the event will fund scholarships for graduating Catalina Island high school seniors, as well as benefitting local charities. In past years, the festival has raised more than $10,000. Tickets can be purchased by calling (310) 510-4205. For more information, go to visitcatalinaisland.com/twoharbors.